The houses for sale in Posada confirm that touristic and real estate markets are growing. This means that some places less known to tourists in the previous years are rediscovered today. Actually, until some years ago the tourism industry was interested in the most popular tourist destinations of the island also coinciding with locations celebrated by the media. Today tourists are looking for other places, less known locations with amazing landscapes, combined with the possibility to meet people who live there and discover a new lifestyle. The tourism market in Sardinia is now more responsible. It is no more interested in visiting only sandy beaches and sea, but it wishes to know more about cultural traditions of such an ancient island like Sardinia. 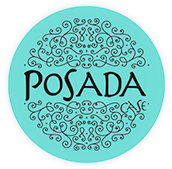 For those reasons houses for sale in Posada represent the changing needs and are the best choice for buyers that wish to have experiential holidays, but also for those who are looking for a profitable long term investment. 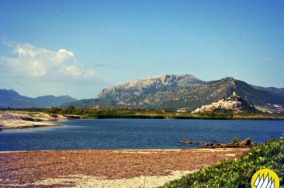 By reason of the new opportunities of real estate market in Sardinia, who buy a house in Posada can quickly recoup the investment and later make a high profit by renting the property. Even the sale in a second time represent for buyers a guarantee of profit thanks to the rapidly growing of the real estate market. When choosing a property for sale in Posada it is important to consider all the requirements. The buyer needs to carefully assess all the investment proposals and take advice from local real estate agents who can explain advantages and disadvantages of the future purchase. As an instance, there is a high demand for properties close to the medieval castle, the “Castello della Fava”. This is because in many cases they offer the chance to catch glimpses of the sea and the valley surrounding the village. The property value also depends on whether the house is close to the seaside and with easy access to the sea, and as well as on the distance to shops and restaurant. Houses for sale in Posada offer buyers the opportunity to lead a healthy and relaxing lifestyle, in a fascinating village with a wonderful landscape. The location of this small village is perfect to easily visit the island and discover all the natural, historical and cultural resources of this extraordinary land.